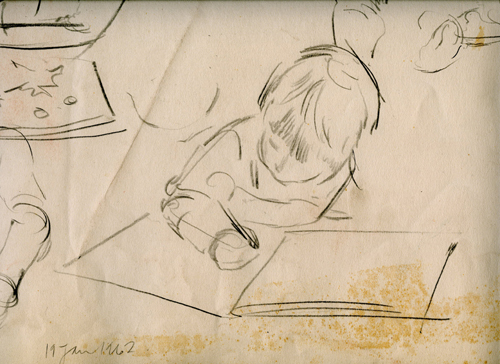 I couldn't decide where to start with my new blog, then realised it had to be this: a drawing of me drawing on January 19th 1962, 3 weeks before my 3rd birthday. It comes from a sheet of drawings made by my father (Kenneth Oliver) at our house in Prestbury. Good to be still drawing 50 years later!